New sentencing guidelines effective as of April this year will be targeting drivers caught for the most serious speeding offences. For those who fall within the highest bracket of seriousness in the speeding guideline a new higher penalty band will be applied – Band C. With these new guidelines in place offenders will face fines starting from 150 per cent of their weekly income as opposed to the existing level of 100 per cent. 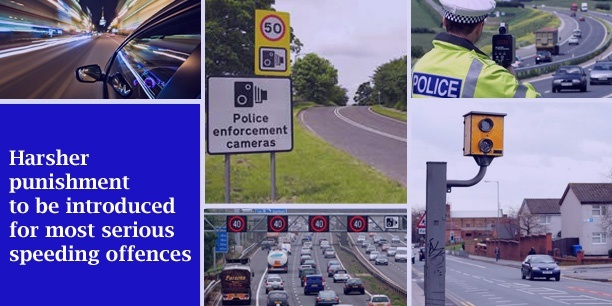 Example speeding offences which fall within this bracket include when drivers are caught travelling at 101 mph or above in a 70 mph zone, or when they are recorded exceeding 50 mph in a 30 mph zone.